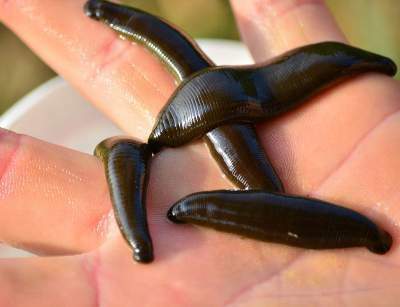 Many fishing lovers are concerned about the proper storage of leeches in the home. They are very hard to catch, as it is necessary to visit the pond. Keep the trophy, you need not for a day, a week or even more. Leeches are distinguished by their unpleasant appearance, so that few people will agree to put them just in the fridge in the kitchen. Besides, if they crawl beyond capacity, where, you can dig into human skin. In their storage, it is recommended to follow the experience of any of the pet shop. Usually it is necessary to prepare a jar, water and a cool place. At observance of all recommendations will be able to save valuable bait for a long time. First of all it is necessary to prepare a suitable container to pump leech. For this purpose, ideal for Bank ordinary glass, and its volume may not be only 0.5 liters, but 3 liters. It all depends on the amount received trophy. 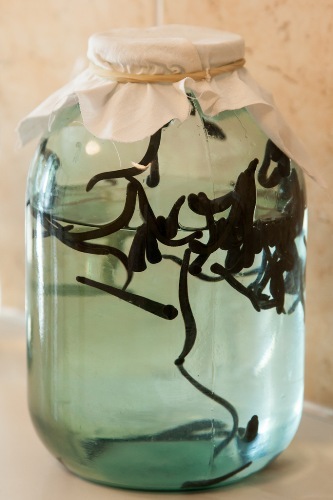 The best is that all leeches are freely placed on the bottom of one jar, so it should have an appropriate size. However for one fishing will not require a large number of leeches, so do not choose 3-liter capacity. In addition, it will be very difficult to place it in the refrigerator. If harvested a lot of leeches, the ideal is the simultaneous use of a few bottles of small volume. For aquatic life it is essential to create favourable conditions which will be as close as possible to the natural environment. This means that the capacity is filled with water, and its level should reach only half. Of course, leeches are different tolerant attitude to the land, as they are able to crawl ashore, where begins the hunt for different animals. Scientists have found that these creatures can survive for long periods without water, but still they need it. Without water the body will gradually undergo a drying, after which death occurs. That is why very often near bodies of water you can find a lot of leeches, dried sunlight. Another component of the considered material, which should be placed on top of the tank. It is necessary to make holes, allowing you to get a portion of fresh air. Otherwise, bait for the next fishing will just crawl inside the refrigerator. For reliability it is recommended to secure the cloth with rubber bands or rope. It is important to remember that a prepared container should stand in a cool place. With leeches, nothing happened, because they tolerate low temperature. So the fridge will help in creating the most optimal environment. Do not put the jar in the freezer, where the poor fish bait will freezes into the ice. Also, do not leave the glass container at room temperature, as this will negatively affect their condition. If the temperature is above 20 degrees the leech begins to manifest the instinct of procreation. If this could not be avoided, on the walls of banks in a short time you can see the eggs. The most appropriate place to put leeches in the refrigerator — the bottom compartment. This is primarily due to care for the household, because not everyone will be thrilled by the neighbourhood of such beings and food. Such a sight can ruin the appetite and cause a feeling of disgust. This means that the best positioning at the bottom of the jar, preferably away from prying eyes. Now, thanks to all the tips on keeping the leeches at home, you can count on a great catch. in summer keep in the fridge. Special attention should be paid to the temperature of the water, pour it into the banks when changing the water. If leech was in the refrigerator, and the water to replace should be in the fridge. Leeches are very sensitive to the difference in temperature and can die if they pour too warm water (too cold). The dishes cover dense (or double cotton cloth) and a rubber band. You can’t use cheesecloth, as the leeches escape through the gauze, making it the holes. The water in the jars changed daily. The jar should be washed from the inside. Banks wash WITHOUT DETERGENT and for each family of leeches I have a separate washcloth! Banks I sometimes boil it. Washcloths and wipes in the washing machine with detergent and prolonged rinsing. To quickly change the water you can use the method Latrine. Here’s my life hack on how to change the water quickly to several banks, and that leeches do not run away!